BUSC’s Alive & Kickin is bidding to bag a massive cash boost from the Tesco Bags of Help initiative. Tesco teamed up with Groundwork to launch its community funding scheme, which sees grants of £4,000, £2,000 and £1,000 raised from carrier bag sales in Tesco stores awarded to local community projects. greenspace scotland is working with Groundwork to provide support to communities in Scotland. Alive & Kickin’s Invigor8 is one of the groups on the shortlist. Invigor8 is a programme devised to encourage the participants to try new sports and learn new skills. Each calendar month we work on a new activity for a session lasting one hour. Participants have an input to which activities they would like to learn. Voting is open in all Tesco stores in Bathgate and East Calder. Customers will cast their vote using a token given to them at the check-out in store each time they shop. Bags of Help project has already delivered over £63 million to more than 20,000 projects across Britain. 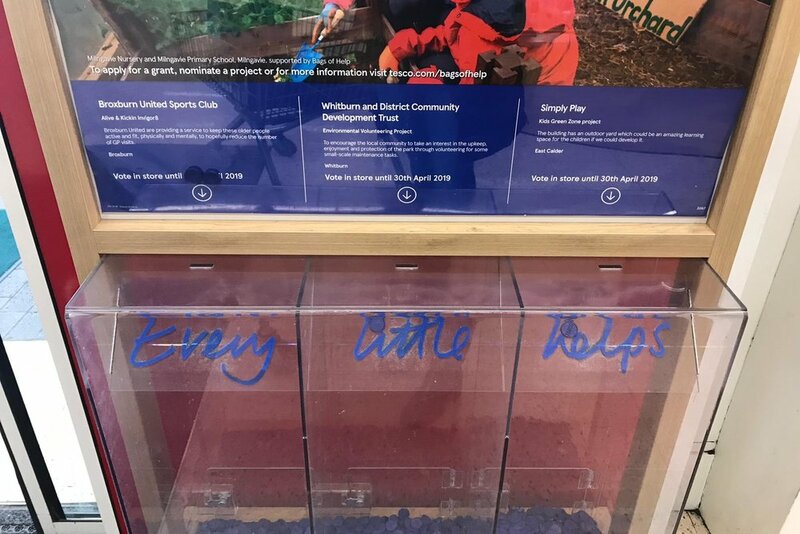 Tesco customers get the chance to vote for three different groups every time they shop. 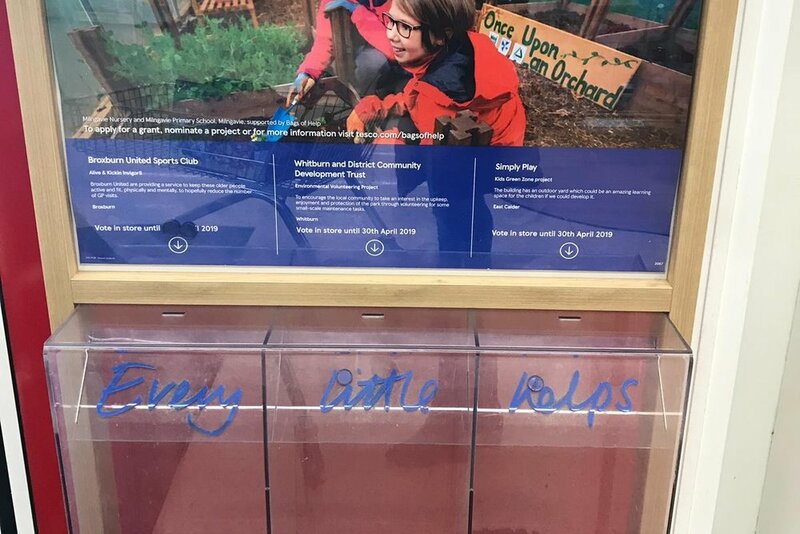 Every other month, when votes are collected, three groups in each of Tesco’s regions will be awarded funding. We here at BUSC are proud of the activities and groups that we put on for our community. That’s because we know of the positive effect that we have on the people who take part and their lives. Doug has been part of the walking football group for a year and a half now. Having been diagnosed with Parkinson’s, Doug initially found it difficult to cope with the disease impeding his life, until he was informed of the walking football sessions by his wife and daughter who undertook our Pilates class at the club. Even at 76, Doug is still very much passionate about life and feels the walking football has helped improve the condition that he lives with, and his positivity always shines through. “If you have a negative attitude, you won’t get anywhere. The last year and a half have helped me immensely. It would help so many other people to accept that they have an illness but that you still have a life. For Doug who had been involved with football both professionally and personally, the football has acted as a coping mechanism for his condition. A symptom of Parkinson’s is that the brain is relieved of dopamine which is the reward chemical in your brain, but Doug feels that the walking football has helped him cope with that aspect of his condition and is more than happy to spread the praise about. Off the pitch has been important to Doug as well, as meeting new people and getting involved in other group activities means he has made new friends which he wasn’t expecting. “I’ve met some of the nicest people in my life, and three of them I would count as my best friends which you don’t expect at this stage of your life. Danny, Archie and Ian are three great guys. “One of the people I respect the most is George who comes every week and whose wife has dementia, and he comes just to get a break and get away from it for a bit. You don’t have to be Denis Law or George Best to play! The walking football has improved Doug’s health so much to the point that his doctors have been impressed with how rapidly his condition has improved. On his last visit to his doctor, Doug was told that he didn’t need to be seen for another nine months because he was in such good shape. As a result, Doug has a simple message for anyone thinking about taking part in the walking football. “Hurry up and join. It’s the best thing I ever did. BUSC are holding Children’s Christmas Parties at Albyn Park on Sunday 23rd December. 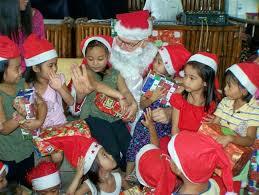 What better way to excite your kids than by bringing them along to our Christmas party. 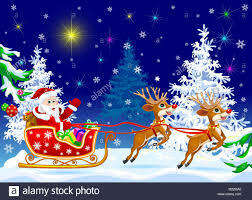 Meet new friends, sing, dance, play party games and meet Santa Claus.We have two age brackets a Primary 1 - 3 party from 3-5pm at Albyn Park and a Primary 4 - 7 party from 6 — 8pm, cost is £5. Please note this party is open to all children within the community. To reserve your ticket please contact j.pegg@busc.org.uk or tel 01506 858057. Battle of the Bing - Get Ready! The Inaugural Battle of the Bing summer CX will take place here at BUSC! We have been spoiled with this venue and have been allowed full access to the football ground facilities. With that we have full amenities, a huge shower and changing block as well as cafe facilities going full tilt all day. • The race format will be open to men and women, 16 years and over - the relevant age is as you come on the 29th July 2018. • The races format will in 2 parts...yes 2 races for the price of 1. • The course will be open to all riders at 10am for practice. • Timings are subject to change. Exact timings will be communicated closer to the race date. • There will be 200 entries available. • Entry is £22.50 per rider. • The closing date for advance entries is the 22nd of July 2018. • This is a small, grass roots 'cross event. Cash flow is not huge. Therefore unfortunately no refunds will be given. Just drop the Race HQ address in to your sat nav or smartphone and hit GO!! We would like to say a huge thank you to Colin Brown Motors for organising the uplift of new goals for Albyn Park. Through the transport company C & D Transport, the goals were picked up from Paisley and delivered straight to Albyn Park. We very much appreciated Colin's help, and without the help of local businesses we would not be the success that we are today. BUSC Youth Group's Adventures Continue! BUSC's Youth Group continues to roam through West Lothian much to the delight of everyone involved! 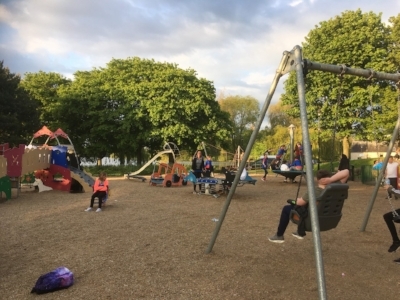 Over the past 10 weeks, our Youth Group - comprised of children, coaches and volunteers - has been visiting many places across West Lothian such as Beecraigs, Almondell, Linlithgow Palace/Loch, Niddry Castle, Stewartfield Park and Albyn Park. Our young people have learned valuable new skills and traits to help serve them well as they grow up. These skills include enjoying the freedom to organise and play, meeting new people, photography and cooking, as our head chef William demonstrates in the picture below! The young people have responded greatly to the youth group's activities. We've been told by them all that the youth group is fun because they have met new friends, had fun and developed a new-found confidence in themselves. Last Friday, the young people served friends, family and school staff as a celebration of their achievement. BUSC are very proud of what our young people have accomplished and along with the school staff we can safely say we've seen fresh confidence from them all. The kids are now looking to lead the activities themselves (while still being supervised of course!) and are the first to volunteer for any jobs that are required to be done. Three cheers for our BUSC Youth Group! 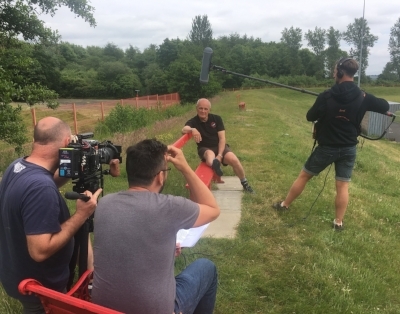 BUSC were delighted to have been visited by Channel 5 this week to film on site at the Albyn. Our Alive & Kickin' Programme is sponsored by the Health Lottery, and Channel 5 were on hand to film our walking football group on the Health Lottery's behalf. Participation in the Alive & Kickin' Programme has brought many positive benefits to the people who have signed up. It has allowed them to make new friends, engage in physical activity, improve their health and reduce the risk of serious illness. We look forward to seeing our new film stars when the footage is released! BUSC Youth Group - Friends and Fun! BUSC is proud to have organised and assembled a youth group comprised of local children to visit various areas of West Lothian. Over the past two months the kids have been to the likes of Linlithgow Loch/Palace, Niddry Castle, Beecraigs and Almondell. The kids are allowed freedom to play, organise their own entertainment and encouraged to have as much fun as they possibly can. We believe that it allows the children to become more independent, and in the process the children have made new friends, developed new found confidence in themselves, and have learned new skills such as cooking and photography. The staff that work with and supervise the youth group are James, Aidan, David, Joseph, Ruaridih and Matt. 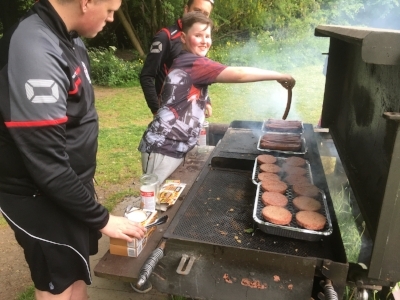 Whilst James and Aidan are employees of the club, David, Joseph, Ruairdih and Matt are volunteers and we wish to thank them for taking the time to help out our youth group. If your child wishes to come along and join in on the fun, all you have to do is contact James at j.pegg@busc.org.uk!